Qigong is an ancient Chinese health care system that integrates physical postures, breathing techniques and focused intention. Tai Chi is like a moving qigong that is also a martial art. This class will be focused on increasing the awareness and sensitivity to Chi/ Prana in the body. Class Schedule: Saturday mornings at 9am. Maintain health, heal your body, calm your mind, and reconnect with your spirit. 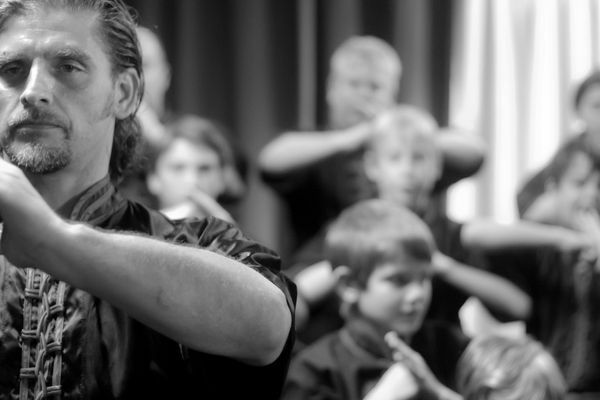 Tai Chi takes this cultivation a step further and has formed it into a martial art. Both practices can be classified as martial, medical, or spiritual. Open up and Let your ENERGY flow with us.